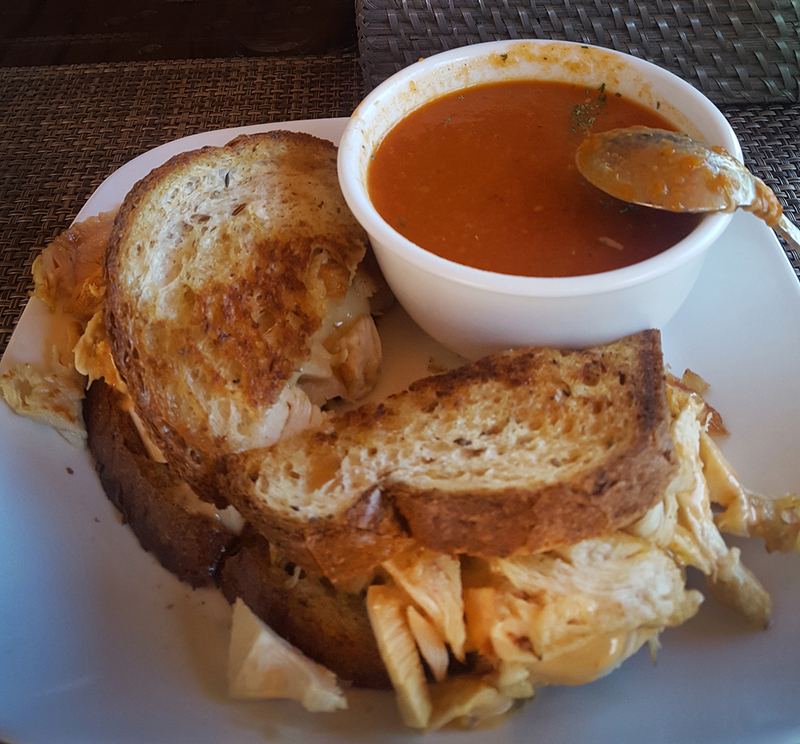 Set a little off the beaten path in the beautiful and charming mountain town of Evergreen, CO, Dandelions is the epitome of fresh, homemade, healthy breakfast and lunch. With breakfast available all day every day (except Sundays) from 8am to 4pm and a diverse offering of breakfast burritos (smothered in pork green chile made with Select New Mexico fresh frozen green chile), egg sandwiches, and pancakes, Executive Chef John Mullan takes great pride in offering unique dishes, many of which are organic and gluten free. Lunch specials include the 4 “S’s”—a couple of made-from-scratch soups / salads / sandwiches / and smoothies. Dandelions also offers a different homemade quiche each day. I enjoyed a cup of their homemade tomato soup which was sprinkled with parmesan cheese and tasted every bit homemade farm-to-table. I paired that with a turkey Reuben sandwich which wasn’t exactly on the menu. But when I asked if I could substitute the corned beef with turkey, from the other side of the counter, John echoed a quick “yes!” To my surprise it was loaded with big chunks of fresh roasted turkey, none of that deli-style meat here! Dandelions also has a kids menu and is known for their gluten free pancakes. Having applied for a beer and wine license, I’m thinking Chef John just might be considering adding dinner menu as well.